Halloween Treats - What the Forks for Dinner? It’s hard to believe Halloween is just a month away. If you are in need of some extra special treats, here are three treat-rific ideas for your Halloween!! These little cuties take the scary out of spiders. The original recipes from A Spicy Perspective and was a huge hit on Facebook and Pinterest back in 2014. Although I am not a fan of a peanut butter cookie….don’t judge! These were easy to make, and cute as can be. Any cookie that has a truffle on top is my kind of cookie. In the original post, I eluded to not being able to find the googly eyes, but they are mainstream these days and well…….Amazon! Again with the googly eyes. Dark rich chocolate cupcakes decorated to look like a bubbling cauldron. Not nearly as intimidating as they look to make, green tinted frosting is decorated with edible candies. Red striped birthdays candles for witch legs with witches shoes attached with a dab of frosting. 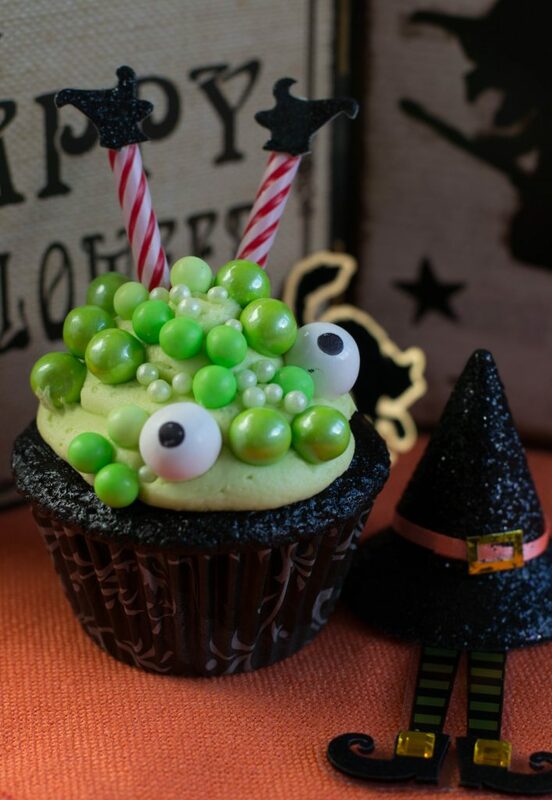 These are by far my favorite Halloween treat…..but I do love cake!!!! This recipe…..once I got the dipping part right was super easy. Let me correct that….once I got the candy coating right. See… I tried to add food coloring to white melting chocolate, take my word for it and save yourself some$$$ ( I had to throw away $5 of chocolate… it seized up when the color was added). Buy colored melts. They come in almost any color and work like a dream. 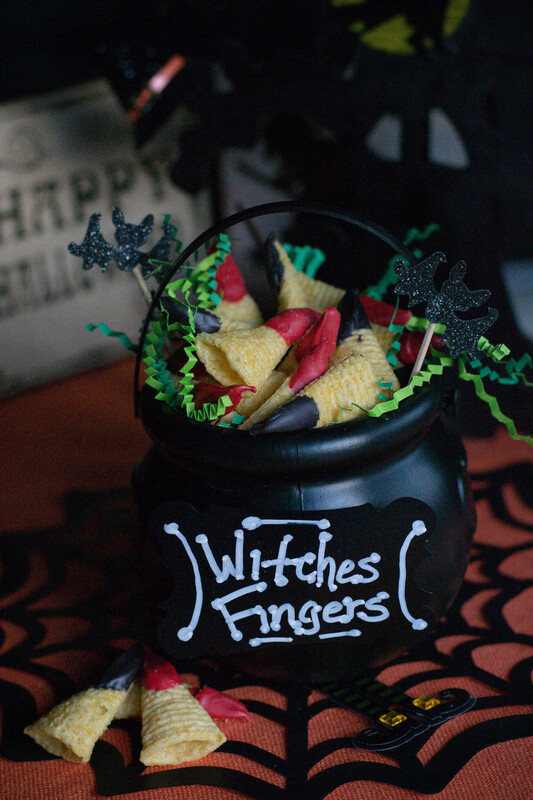 Witches Fingers are a sweet-salty treat sure to satisfy any ghost or goblin. Place them in a plastic cauldron for a cute presentation. 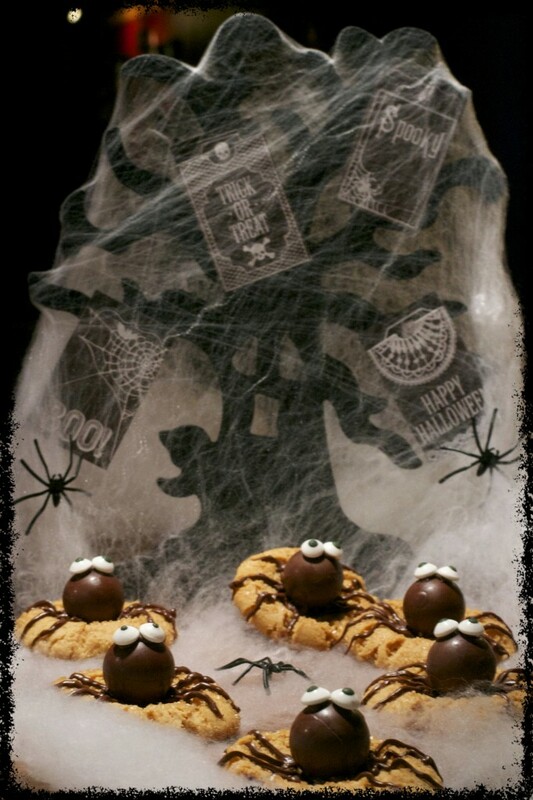 Try any of these treats for Halloween party or as treats for your trick or treaters! !